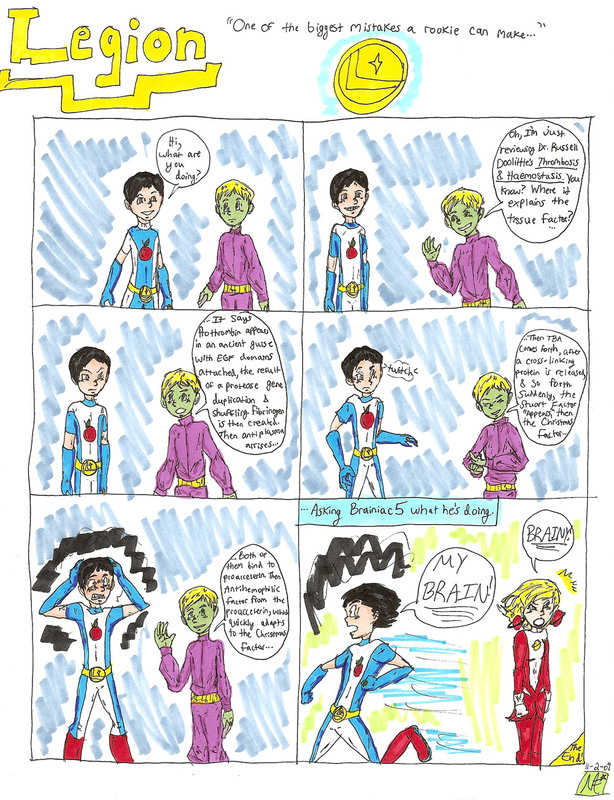 My daughter just whipped up a one-page Legion of Super Heroes comic this evening staring (of course) Brainiac 5, or as she and other obsessed fans call him, Brainy. This is a cute one if you know anything about him as a character… Let her know what you think! 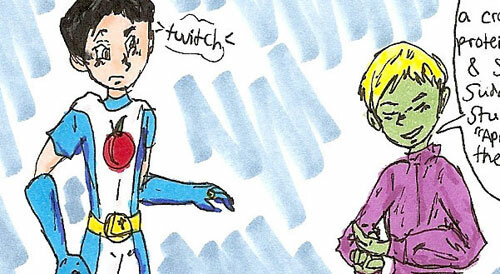 Tagged Brainiac 5, Brainy, Legion of Super Heroes. Bookmark the permalink.